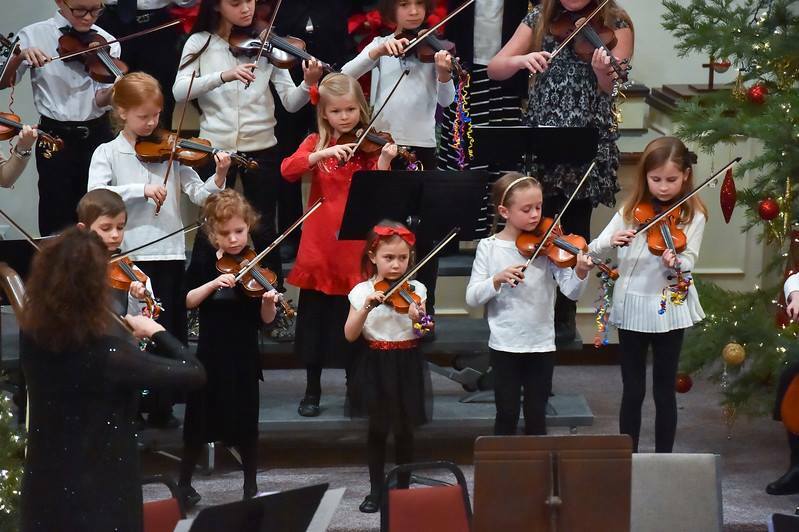 The High Mountain Strings program was established by the McCall Music Society in early 2016 to provide violin instruction for elementary and middle school students. The essential ingredient of a teaching program is the teacher and to this reality we have the skills and experience of Jonelle Anderson Darrow. Jonelle travels to McCall weekly and teaches children of all ages after school at Barbara Morgan Elementary . She also teaches students in Cascade. In all, she has more than two dozen violin students in Valley County. The Music Society is looking to the future when a strings program, (orchestra) is available to Middle and High School students. We believe music has a rightful place in our fine school system and we want to be prepared when the school district makes the decision to provide for an orchestra program. Born and raised in Idaho, Jonelle has a deep love for the natural world. As a very young child, her love of wildlife and trees could be seen in her gentleness toward all living things. Infatuated with the record player and the radio, Jonelle constantly listened to music. Her love of music and the violin later developed into a Bachelor of Music and Music Education degree. During college she fell in love with percussion instruments and in addition to her violin studies, enjoyed playing in the University Percussion Ensemble, Symphonic Winds, and Marching Band. She interviewed with the international performing arts organization Up With People and upon acceptance began a world tour performing for 12 months in Australia, Mexico, Canada, Hawaii, Alaska, and the continental United States. Her love of travel continued as she visited friends in Sweden and Switzerland and traveled across Europe living out of a suitcase. She was encouraged to open a private violin studio under the guidance of Leah Telford and has continued to manage a successful studio for over 20 years. 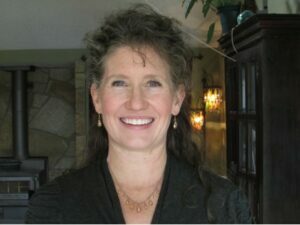 She was recognized as a Distinguished Educator in recognition of exceptional teaching and inspirational guidance to the students of Boise Idaho and given an award. Her love of teaching continued as she went on to study religions, spiritual practices, and child development. In addition to teaching children violin she has performed with professional and community orchestras, small ensembles, festivals, gigging string quartets, and volunteer outreach. She volunteers each year for Boise Music Week and Hymns of Thanksgiving– events that are free to the public. Her teaching and performing have been influenced by a multitude of people, formal and independent studies, travels abroad, observation, and good old fashioned life experience, all of which have profoundly contributed to her teaching and music career. She is currently a member of the Boise Baroque Orchestra and is the violin teacher for the ‘Just For Kids’ High Mountain Strings program in McCall and Cascade. She and her husband enjoy spending time with their son and fur babies. *Special thanks to her local music teachers whose influence, encouragement, and support will always be remembered- Dale Ball, Shirley Madsen, John Hamilton, Leah Telford, Mel Shelton, David Wells, Harriet Dean, John Baldwin, Marcellus Brown, Craig Purdy, and those who also made an impact but are too many to mention from all over the globe.